It wasn’t until 2006, as he approached retirement from his career as a naval architect and marine engineer, that he began seriously exploring consciousness, including mediumship. Now, 10 years later, Hugenot is an evidential medium, serving as a test medium for the Consciousness Research Laboratory at the Institute of Noetic Sciences, where he works with Drs. Dean Radin and Arnaud Delorme. After growing up in North Hollywood, Calif., Hugenot served in the U.S. Navy during the Vietnam War. He then studied mechanical engineering at Oregon Institute of Technology and began his career in the design department of Puget Sound Naval Shipyard in Washington. He eventually worked at “nearly every shipyard” in the country, on all three coasts and the Great Lakes. Along the way, he earned a Doctorate of Science in mechanical engineering. 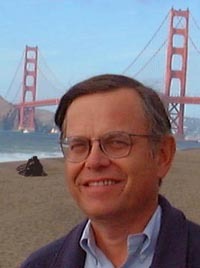 Although “retired,” Hugenot, who is married to Gale and lives in San Francisco, serves on a number of engineering standards writing committees and as chairman of the Motor Yacht and Service Craft Panel of the Small Craft Committee for the Society of Naval Architects and Marine Engineers. He is frequently asked to write and deliver papers on various aspects of naval engineering for other organizations. He also works occasionally as an expert witness in maritime cases. I had the opportunity to interview Hugenot for the February issue of The Searchlight, a publication of The Academy for Spiritual and Consciousness Studies and i am pleased to offer that interview here. Alan, please summarize your NDE. “It was during May 1970 when I was attending college after serving in the Navy. Briefly, I was severely injured in a motor cycle accident, lapsed into a coma for 12 hours, traveled out-of-body where I communed on the other side with a Being of Light. After returning to the body, and regaining consciousness, I remained hospitalized for 33 days. I gather you didn’t keep the experience to yourself as so many people do. Why did it take you some 40 years to start talking about your NDE and writing about it and related topics? “Early on, after the NDE, burdened with visceral personal knowledge of an inconvenient truth, and being unable to reconcile it with society’s standard model of reality, I quickly learned to be quiet about what I knew. Instead, and unlike the other SET (Science, Engineering & Technology) students, I began to also study philosophy, history, logic, meta-physics in evening classes, beginning a research odyssey which has now spanned 46 years, investigating multiple scientific disciplines, collating data and verifying the science supporting what I knew. What were your early religious or spiritual views? So how have your views changed? “The primary lesson I learned while out-of-body was that we are not physical beings, but are instead eternal spirits temporarily occupying physical bodies. “The NDE moved me toward eastern meditative traditions, the Unity School or Practical Christianity and finally, as I became a medium, into Spiritualism. But I do not believe in a hell or retribution, and I do believe in universal salvation (everyone has eternal life). “I came to realize that the Newtonian box I had been trained to use in my work as an engineer is only a fragment of the story of the conscious universe. In a larger sense, I also learned that our 350-year-old paradigm of classical Newtonian physics, limited to three dimensions plus time, did not include everything. In fact, it fell far short and only included a very small corner of a much larger universe. I realized materialist science was deeply flawed in its world view. To what extent have you developed your mediumship? Some parapsychologists would say you received it telepathically from the sitter or, if it is information the sitter didn’t have, that you accessed it from a relative or friend of the sitter on the other side of the country. Your background is in a scientific discipline and you certainly believe in the scientific method. When a scientist says that survival of consciousness at death is impossible, how do you answer him or her? What if the skeptical scientist asks you how consciousness can go on without a functioning brain? “Same answer. I state that this can only be true for someone who believes the brain creates consciousness. How could a cold dead universe develop life? And how could that life develop consciousness? Isn’t that a miracle that even Jesus could not produce? I understand that you have authored a new book which will be published early this year. How will it differ from your first book? “Everyone wants me to talk about the science of the afterlife, which was scrunched into just one chapter of my 2012 book, The Death Experience, so my upcoming 2016 book, The New Science of Consciousness Survival, which has a Foreword by Dr. Gary Schwartz, discusses how the sciences of quantum electro-dynamics, near-death experiences, biocentrism and the sciences of consciousness survival have already replaced Newtonian materialism, at least for those scientists with the intellectual honesty and scientific rigor to examine the extensive and overwhelming data and to pay attention to what it means. “When we can’t discern 96 percent of what exists in our universe, there is plenty of spare room for all kinds of unknowns – much more than just the afterlife’s ‘undiscovered country from whose bourn no traveler returns,’ but entire undiscovered galaxies, alternative dimensions, multi-verses, etc., etc. Do you sometimes feel like you are preaching to the choir, that no real progress is being made in getting your message across? Michael Tymn is the author of The Afterlife Revealed: What Happens After We Die, Resurrecting Leonora Piper: How Science Discovered the Afterlife, and Dead Men Talking: Afterlife Communication from World War I. His forthcoming book Why the Afterlife is Beyond Science will be published later in 2016 by White Crow Books. The following words were penned in 1910 by a man about to become president of his country. However, they seemingly apply just as much, if not more so, to today’s world. He was Francisco I. Madero, (below) the leader of the 1910 Mexican Revolution and 33rd president of Mexico, serving from 1911 until his assassination in 1913, at age 39. 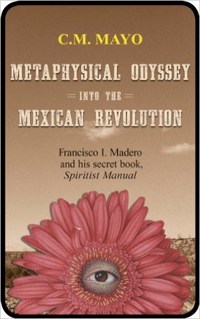 The fascinating story of Madero, called the “Apostle of Democracy” in Mexico, is told by C. M. Mayo in her 2014 book Metaphysical Odyssey into the Mexican Revolution, which includes her English translation of Madero’s book, Manual espirita (Spiritist Manual). After much struggle, Madero became president of Mexico on November 6, 1911, but his inability to meld democracy with old guard politics and the ambitions of various military leaders led to his assassination on February 22, 1913, believed to be at the direction of General Victoriano Huerta, who then assumed the presidency. 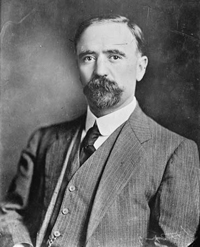 In spite of the fact that he served as president for only 15 month, Madero apparently was able to achieve certain reforms and is considered a hero to the Mexican people today. When I listen to the crude, bombastic, and maniacal remarks of the leading candidates for the U.S. presidency, I wonder if the spirits mentioned by Madero – those who are concerned with the evolution of humanity – have been defeated by the lower spirits or if they are just working in different and strange ways. It would be great if some of those influencing Madero would come out of retirement and become active again.